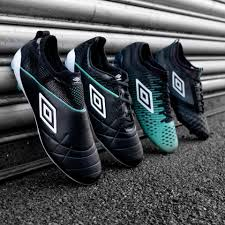 UMBRO: The New Black, White & Marine Green Boot Pack Is Here! Home / International Football / Worldwide / UMBRO: The New Black, White & Marine Green Boot Pack Is Here! Combining classic looks with a cool touch, UMBRO have unveiled their first seasonal colour pack of 2019. A refreshing splash of Marine Green alongside a classic black and white is the debut colourway for the new Medusae 3 boots with updates for the Velocita 4 and UX Accuro 2 silos. Previous VIDEO – 442oons: Mesut Özil vs Unai Emery – Football Therapy (Parody)! Next VIDEO – Prudent Media: FC Goa restart campaign against Jamshedpur FC!